Home / News / Introducing the Gear Well Ambassadors! Introducing the Gear Well Ambassadors! At Gear Well, we have a passion for all things outdoors. Particularly running, disc golf and anything backcountry. This is why we partner with athletes who embody our core principles. We would like to introduce our newest ambassador, Matthew Wright! 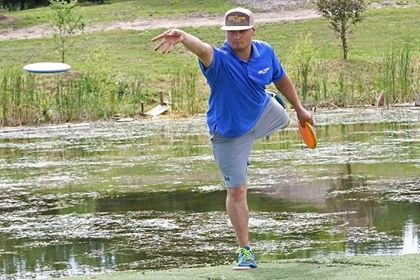 Matthew is a semi professional disc golfer (PDGA# 85896) based out of Rochester Minnesota. He is a Marine Corps veteran and has the goal to be rated over 1000! Hello, my name is Matthew Wright. I am 25 years old from Rochester Minnesota! I've been playing disc golf for over 2 years. I look forward to working with Gear Well this season! My goals in disc golf are to get rated over 1000, to play a whole season of DGPT events and to give back and teach others the values that disc golf has taught me. We are looking forward to working with Matthew to grow the sport of disc golf, and to get the word out on #GearWell!